Dear friends, am happy to inform you that our Beloved VPN service TUNNEL GURU is back and blazing with etisalat Nigeria on pc with 0.0kobo on sim card. Without wasting much time i will give you the simple steps and screenshots on how it works. NOTE: In "Proxy url" put any of the listed servers below. Use 6052 with Application Like GTLAK individually or In Proxifier. @abdulwasiu, yes i did not, i have done it. Anonymous, please explain, what do u mean by "Face" not opening? @abdulwasiu, am happy to hear that. Tanks for coming back to testify. @Johnson, No its not working at the moment, but we are working on it. Mr John, pls is tunnelguru still working with multilinks at the moment? @perry, Tunnel Guru is presently working with MTN and Multilinks. @adaslove, yes multi links is still working with Tunnel Guru. what's the next fastest internet connection working at the moment other than Multilinks??? @Anonymous, i would advice you use MTN or GLO. (Perfect Money ,U5791349 and Western Union payments accepted). 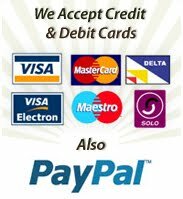 Alternatively when checking out having a total of or higher than 100.00 USD will come up the option to select Western Union as payment. Pls do hlp me wit registratn informatn 4 proxifier standard edition v3.21. IT IS NOT WORKING WITH ME THOUGH AM USING FREE SERVICE BUT AT LEAST THE FREE SERVICE WORKS WITH MTN ALSO IT SUPPOSE TO WORK WITH OTHERS, MY QUESTION IS WILL IT WORK WITH FREE ACCOUNT ON GLO?